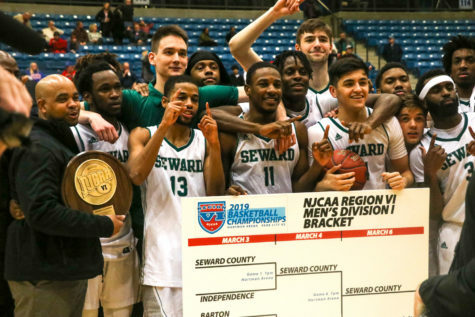 The Seward County Saints are now 1-1 in conference play and 6-2 overall after defeating Cloud County on Saturday night. Montrevion Flowers swings in under the basket and manages to get a shot off against two Cloud County defenders. 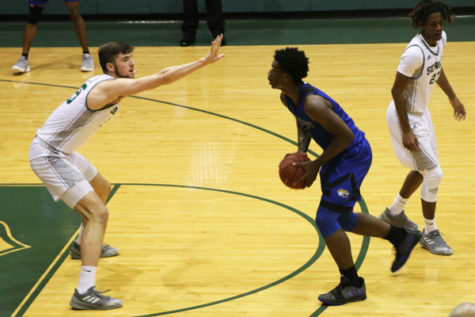 The sophomore guard tallied 19 points for the night during his 36 minutes of play. The Saints came away with the win. 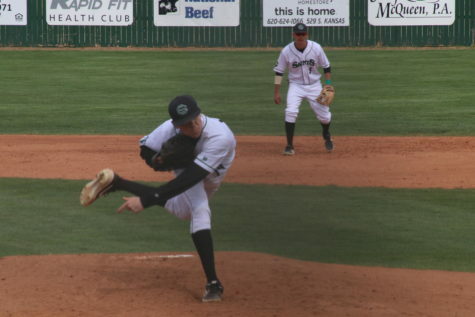 The Saints had a slow start, losing 9-4 at the beginning, but after a 10-2 run, Seward led 14-11. 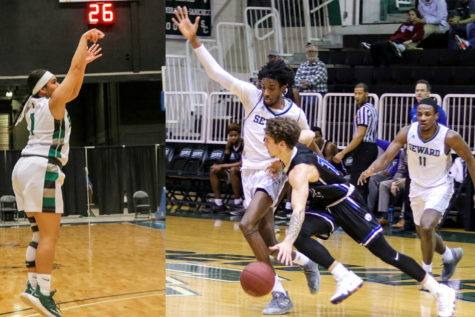 Cloud County continued trading points with SCCC until the Saints led 41-38 going into halftime. Cloud County came out into the second half ready to battle and cut the lead to just one point. Every time Cloud would score, Seward would head to the other side of the court and do the same thing. The game was close the whole time until a dunk by the Saints exploded their momentum and allowed them to lead 61-57. 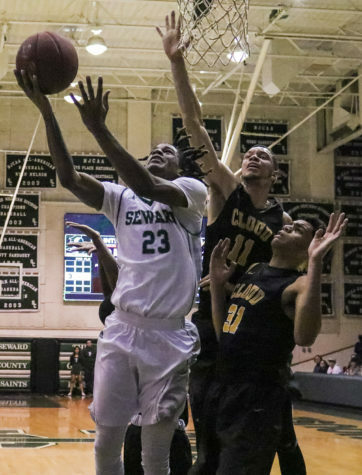 Seward grew their lead a little more before a 6-0 run by Cloud stole the lead from the Saints. 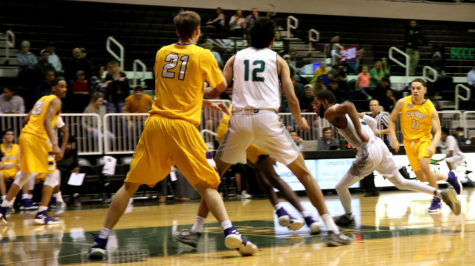 With just 42 seconds left in the game, Seward led by four points. 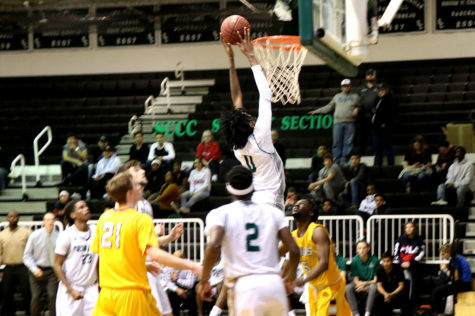 A last minute three-pointer by SCCC was their saving grace as the Saints came away with a 81-74 win. Five Saints finished in double-figures to end the night. 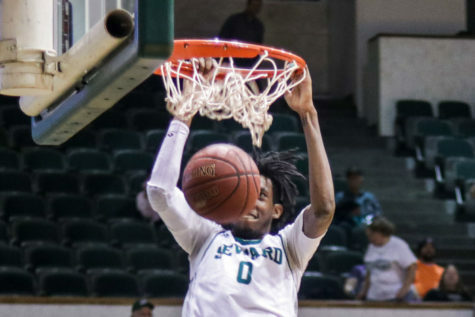 Sophomore Montrevion Flowers led Seward with a career-high 19 points. Freshman Reggie Miller was next, scoring 14 points. 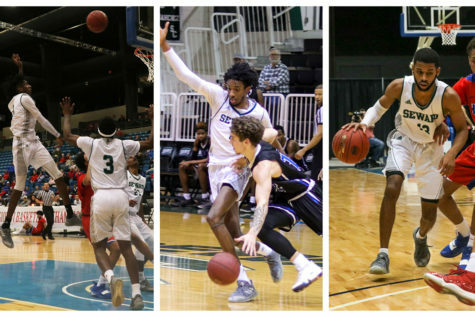 SophomoremMarco Morency added 14 pts, sophomore Devin Bethely contribued 16 pt and sophomore Mohammed Selmi finished with 14 pts. 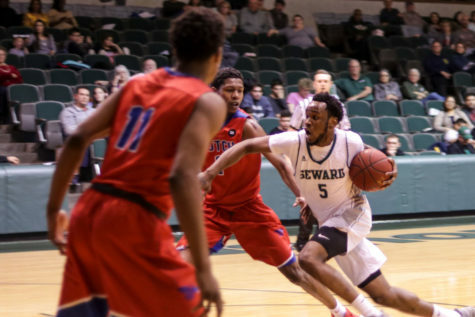 Seward will continue conference play on Wednesday against the Allen Red Devils in Iola, Kansas starting at 8 p.m.